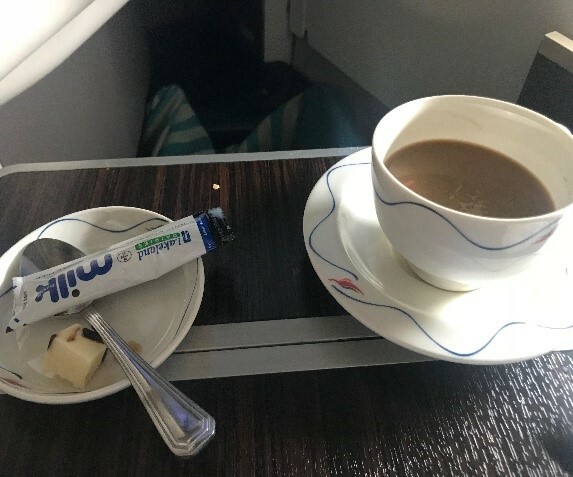 I asked for a cup of coffee in Business Class an I was served a cold coffee cup with a disposable milk packer by the staff .As the money I pay to fly Business Class is quite high I expected a usual proper serving of a coffee in a tray as per the usual practice by Sri Lankan . 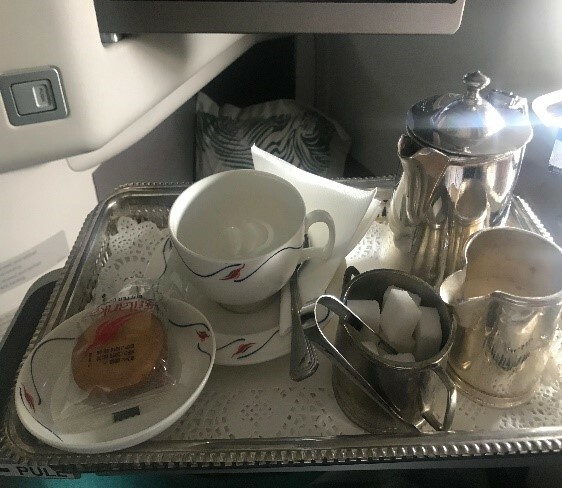 C called the stewardess and inquired about the coffee and asked whether Sri Lankan has gone bankrupt? I was not happy but staff immediately brought me a proper coffee in a tray. Even though I took photos at that time to write to Customer Care and complain I refrained as they corrected their mishandling. So I thought Err is human but forgiving is divine! Villagers who were at the meeting where MS made this startling reveal they may have thought cashew should be our National Fruit in Sri Lanka which is Jack ? May be Sri Lankan should serve Roasted Jack Seeds rather than Cashew?? Only nuts will remove cashews depending on one man’s taste buds. Who knows he may be suffering from a disease, so that he cannot get the real taste. May be he was mistaken the taste of Caju with Ratakaju. He can’t remember things anyway. Randeniya is correct he may have mistaken for Ratakadgu because this guy is a chronic case with upset mind. This is the guy who said he will govern the country from Pollonnaruwa and eat in a bannana leaf. Poor guy what he is doing now? Taking revenge from his opponents and helping our enemies just to stay in power for ever. He is dreaming nuts bloody chronic case. Shame to have a President like him in our country. Vamooze mister Hopper quick and fast without giving us mor headaches. AIRLINE STAFF IMMEDIATELY REMOVED PRESIDENTS STALE NUTS. GUD JAAB. THE QUALITY OF MERCY IS NOT STRAINED, IT DROPETH AS THE GENTLE RAIN FROM HEAVEN. They should have given him a bone instead !